John Kennedy’s victory in the 1960 presidential election raised interest in his wife to a fevered pitch. But, Jackie was adamant that she would do things on her own terms. She detested the prying and made a preemptive move to thwart conjecture about her private life. At her mother’s suggestion, Mrs. Kennedy appointed Mary Van Rensselaer Thayer— Janet Auchincloss’ friend and a former editor of the Washington Post—as her authorized biographer. The (flawed) thought being that if an authorized version of her life were presented to the public, it would be taken as pure fact, the public curiosity would be saited and interest would wane. As her authorized biographer, Thayer was given exclusive access to Mrs. Kennedy’s voluminous scrapbooks, photo albums, and letters, as well as access to the future First Lady herself. And though it was Thayer’s name that appeared on the book’s jacket, Jackie was closely involved in its production and the final product heavily bore her imprimatur. 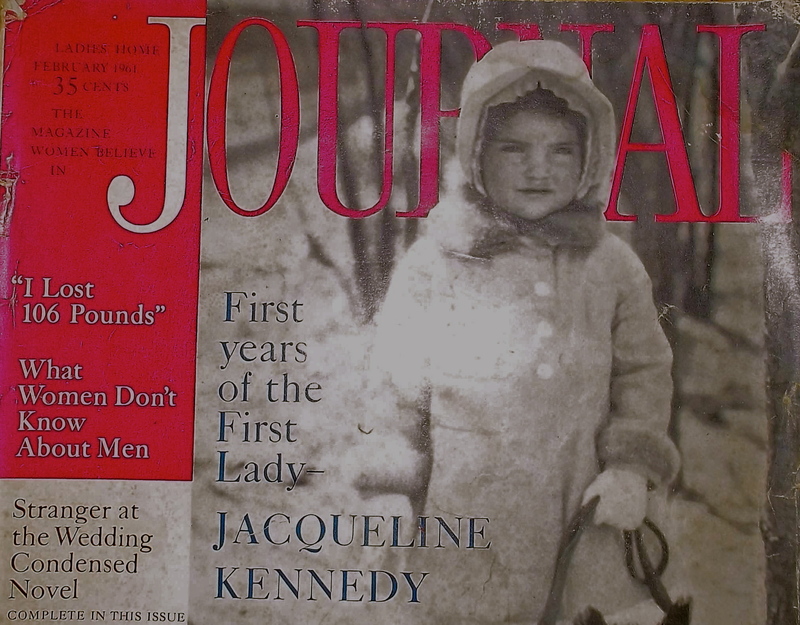 Mary Bass Gibson, who later purchased the serialization rights for Ladies Home Journal, recalled that Mrs. Kennedy “did a lot of the writing in bed and then Molly [Thayer] would take it over and rewrite it.” Thus, the resulting text, published in the winter of 1961 as Jacqueline Bouvier Kennedy, remains the closest we have ever come to having Jackie’s memoirs. Jackie herself is believed to have penned the first draft. Jacqueline Bouvier Kennedy is an authorized biography in the strictest sense—meaning it is totally safe. In accordance with Jackie’s wishes, Thayer produced a saccharin treatment of the Kennedys’ life that breezily glossed over any unpleasantries and laid the foundation for the myths that followed. It says very little that people didn’t already know about Jackie in 1961. Much less things we don’t know about her now. [S]he realized that here was a man who did not want to marry. She was frightened. Jacqueline, in this revealing moment, envisaged heartbreak, but just as swiftly determined such heartbreak would be worth the pain. Peel back the language of Harlequin romance and this statement tantalizes. I think it also plays up the element of Jackie’s character that is so often overlooked and yet one that her children evoked time and time again: her spirit of adventure. She knew he didn’t want to marry. She knew it was going to be difficult. And yet, she picked the challenge— the adventure— nonetheless. This entry was posted in jackie. Bookmark the permalink.